Switzerland: land of cheese, wine, chocolate, and some of the most amazing mountains in the world. Last month, I was offered the most amazing opportunity with Swiss International Air Lines to travel to Lucerne, Switzerland for a week with my girlfriends Meghan and Emily to explore the city and the surrounding areas. Naturally, I couldn't wait to eat some of the best cheese and chocolate in the world, but I was most excited to explore the surrounding trails and mountains. I've been dreaming about the Swiss Alps ever since I traveled to Switzerland with my parents in 2011. Lucerne is a gateway to some of the most amazing mountains (and an awesome lake!) I've ever hiked, ran, and played on. The opportunities for outdoor adventures were endless and we just barely skimmed the surface of all there is to do there. If you like to hike, run, ski, climb, go paragliding, kayak, mountain bike and/or road bike, this place is heaven. In just five short days, we were able to explore these mountains in so many different ways. Take a look below at some of my favorite adventures in some of Lucerne's beautiful regions - this city truly offers every type of mountain adventure you desire! Mt Pilatus - the infamous mountain that overlooks Lucerne. 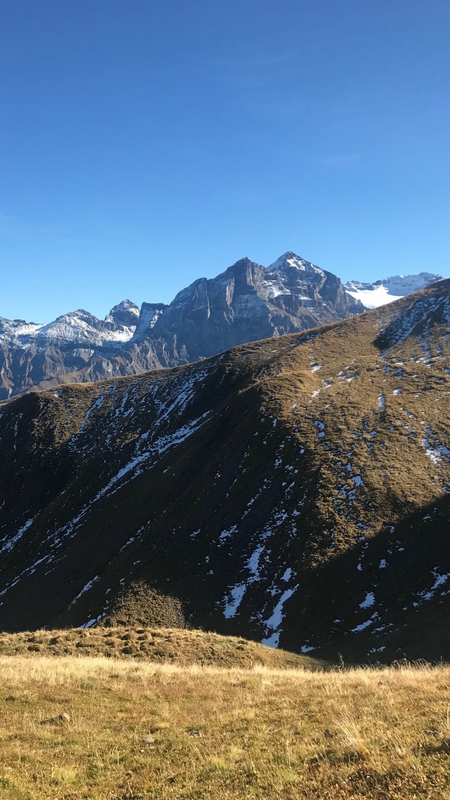 We were fortunate to stay on top of the mountain at the Hotel Pilatus-Kulm for a night, where we had access to many amazing trails right outside of our door! This specific trail ended up being one of my favorite runs in Switzerland. The view of the Alps and Lake Lucerne from Mt Pilatus blew my mind. After this run, we enjoyed the most beautiful sunset I've ever seen. Definitely a day to remember! The view from our hotel was surreal! The sunset that never quit! Engelberg is a quaint mountain town straight out of my wildest dreams. You can do everything here - run, hike, ski, climb, mountaineer, mountain bike and paraglide. It is truly an adventurer's paradise. I don't know what was better - the trails or the views from the trails! I can't wait to come back and explore more of this area on foot. Paragliding has always been on the top of my bucket list! When our hosts in Engelberg surprised us with an opportunity to go paragliding in the Swiss Alps, I could barely contain my excitement! 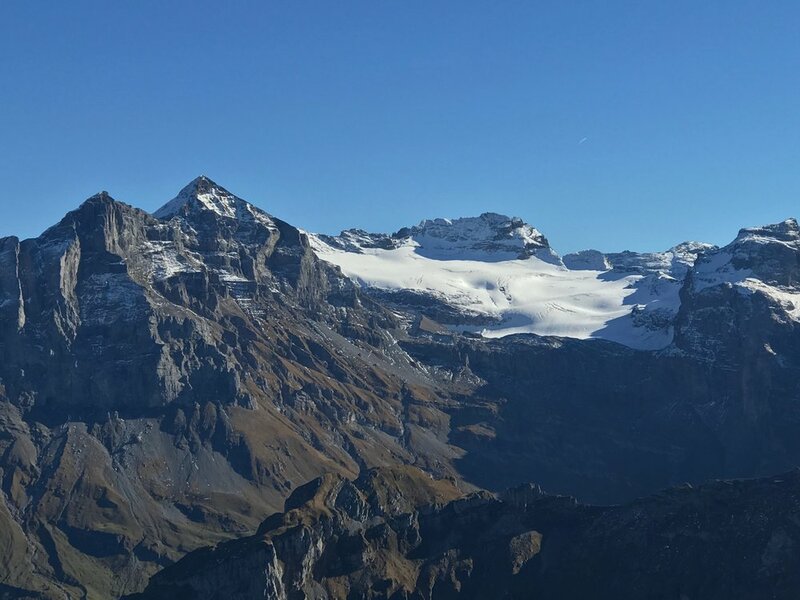 We flew over the Alps with breathtaking views of Mt Titlus and its neighboring peaks, high above the city of Engelberg. And boy, was it was every bit as surreal as I had imagined. 10/10 would do it again! We also had the opportunity here to do a via ferrata. For those who are unfamiliar with a via ferrata, it is essentially a protected climbing route in the mountains, using steel cables, rungs, pegs or ladders to limit the danger of falling. It's a cool and safer way to experience the mountains and enjoy the views from a different perspective. I had a ton of fun on our via ferrata and would love to go back again to try a different route! On the night before my birthday, we were lucky enough to be given the chance to sleep overnight on Mt Titlis (central Switzerland's highest peak). Normally, people are only allowed to access this area during the day by using the gondola and funicular, so it was a really special experience. I took this opportunity to "run" up Mt Titlis (10,623 ft) for a little sunset summit, using a set of poles and some microspikes. From the top of the gondola, it is only a short hike on snow and ice of about 800 ft of gain. While I wouldn't really call this "mountaineering" in the slightest sense, some care had to be taken to avoid a couple small crevasses. Afterwards, we enjoyed a spectacular sunset over the Alps and a sky full of stars! This region lies about an hour boat ride from Lucerne. Once we arrived, we took a cable car up to ~1400 feet with views of South Lake Lucerne and Rigi. From the top, we were able to access dozens of trails of varying distances and elevation gain. We chose the hike to Risetenstock and were rewarded with ridgeline running and 360 views of the Alps. Just a short boat ride away, Burgenstock is a beautiful area that overlooks Lucerne, Mt Pilatus and the Swiss Alps. We were pretty jetlagged when we arrived here, but we pushed through and went on a beautiful sunset hike. I would love to go back and explore more of the trails in this area.